At Callington Primary School students will encounter these principles throughout everyday school life. In particular, our promotion of spiritual, moral, social and cultural understanding is where these value are explicitly taught in a range of ways including through circle times and days such as ‘British Values Day’ and ‘Equality and Diversity Day’. Additionally, the values are taught in R.E and interwoven within our skills based curriculum which gives children real and meaningful opportunities to explore these values. At Callington Primary School, we are certain that the active promotion of British Values means that children are enabled to develop a sense of community and begin to develop their understanding of their role and responsibilities within it. Callington Primary School takes the opportunity to actively promote British Values through daily whole school assemblies where a range of British Values are explored. Our whole school systems and structures lend themselves to the active promotion of British Values, heavily. For example, all children take part in a democratic school council election process and elected children run a successful school council which plays an integral role in informing the school behaviour policy. Callington Primary School, also actively promotes British Values by challenging pupils, staff or parents who express opinions contrary to fundamental British values, including ‘Extremist Beliefs’, in appropriate ways. Pupil voice is significant at the Callington Primary School. Our pupil elected school council plays a strong role in our school. They are elected by their class peers and are involved in making the school a better place to learn. Additionally, House Captains are elected each year by the whole school in a democratic election process. Pupils have a great amount of input in regards to what and how they learn as they decide upon the topic they would like to learn about each half term and the teachers use this to inform planning. 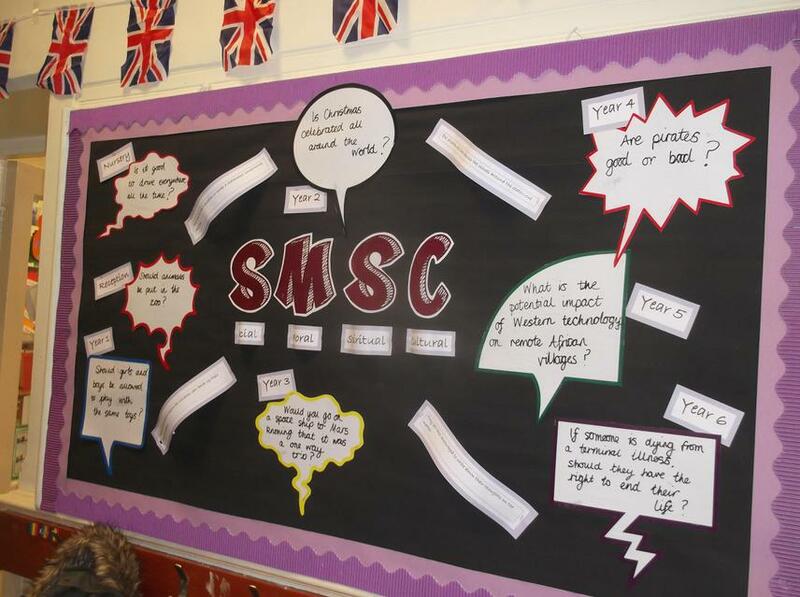 The pupil’s voice is also heard through pupil conferencing and through pupil questionnaires. We know that the formation of the school council and the active participation of our pupils will sow the seeds for a more sophisticated understanding of democracy in the future. This understanding of the importance of rules will be consistently reinforced through assemblies, in classes, around the school and through our curriculum. The involvement of our pupils in the creation of the school rules helps them to understand the reasons behind the rules and the consequences if they are broken. 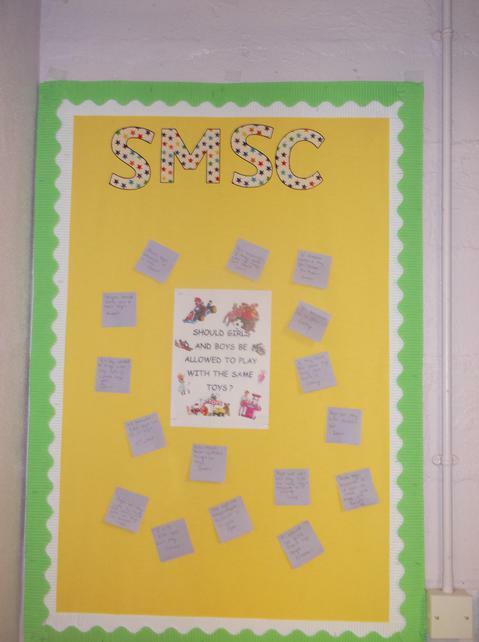 Through SMSC questions and circle times, we allow opportunity to debate and discuss the reasons for laws so that children can recognise the importance of these for their own protection. Throughout the year we welcome visits from members of the wider community including the police, the Navy, war veterans, bank representatives, the fire brigade and many more. We believe that clear explanations and real life stories emphasise the importance of the rule of law for our pupils. Opportunities for children to take more responsibility around the school are encouraged and such roles as ‘Flag Monitor, Librarians, Register Monitors and Peer Mediators’ are available. We invest a great deal of time in creating a positive culture in our school, so that children are in a safe environment where choices and freedoms are encouraged and valued. Pupils are given the freedom to make a variety of meaningful choices such as choosing the level of challenge they want to progress to in a lesson and taking ownership of their child- led learning through their ‘Fantastic Finishes’. We offer a range of clubs which pupils have the freedom to choose from, based on their interests and skills. Through our E-Safety days, we educate children on their rights and personal freedoms as well as supporting them in recognising how to exercise these freedoms safely. In weekly circle times, all children are encouraged to share their feelings in a safe way. Children take responsibility as Peer Mediators to help resolve conflicts and repair relationships. Peer mediators are available every lunch time for children and offer a safe place for discussions about any play time issues that may have arisen; it is at these meetings that the children’s voices can be heard and an appropriate resolution will be decided on by the children themselves. At Callington Primary School, we believe that valuing choice and freedom in daily school life will foster a value for individual liberty as the children embark upon their adult lives. Mutual respect is at the core of our school life. The children learn to treat each other and staff with great respect. This is evident when walking around the School and in the classrooms. Children are encouraged to showcase their work on their class blog and regularly contribute respectful comments about the work of others on the blog. Each class draws up a set of class rules or a class agreement each year and use this to set the tone for the level of respect that is expected throughout the year. Through Equality and Diversity Days, E-Safety Days and Anti- Bullying week, the children are taught to value differences in themselves and others and most importantly to show respect to all. As mentioned previously, Peer mediator meetings facilitate opportunities for children to show respect to each other’s beliefs, feelings and opinions by given each child a forum to share these on and an expectation that these must be listened to. Callington Primary School follows the Cornwall RE agreed syllabus which ensures that all children learn about the main religions and teaches respect and understanding for the cultures, beliefs, opinions and traditions or others. Class assemblies also help to contribute to the knowledge of special occasions, beliefs and customs. Additionally, Equality and Diversity Days give children the opportunity to enhance their understanding of their place in a culturally diverse society. Through our curriculum and the routines of our daily school life, we strive to demonstrate tolerance and help children to become knowledgeable and understanding citizens who can build a better Britain for the future. We use opportunities such as the Olympics and current news and events from around the world to help the children study and learn about life and cultures in different countries. A big thank you to Kai who appeared in Mrs Hume’s assembly and was brilliant in explaining to everyone about his favourite sport, cricket. Back in our classes Year 4 discussed the word of the week and James talked about his experiences of cricket. We found out that James plays at a competitive level, playing for Callington for three years and recently started to play for Cornwall County. His ambition is to play for Somerset, where Kai plays now. What generosity means to Nursery children. British Values Word of the week…Teatime. What Teatime means in Year 1. What Bravery mean to Foundation stage. In Reception Class we discussed what bravery was and what it meant to be brave. The children came up with lots of ideas on how to be brave in lots of situations. Some of the brilliant ideas are below ‘If you go on a roller coaster and its scary, you can be brave and not be scared’ ‘If I am scared I cuddle Mummy and she makes me brave’. The British Value of the week is…..Heritage. What Heritage means to Year 2. We have spent time looking at our heritage focusing on our local landmark – Kit Hill. We have discovered that it is an important site and has been shaped by over 5,000 years of human activity. It has been used for farming, for religious reasons and for mining. Many of the children in Year 2 said that they enjoyed using the historical site now for walking their dog, flying kites and playing with their friends. It was great to learn about this important part of our heritage as the children always wondered why this landmark was on our school jumpers. What Democracy means to Year 6. This week democracy played a big part in our lives as we were voting for new house captains. Members of Year 6 delivered speeches to us about why we should choose them and later that day came round with voting slips and ballot papers. This way of choosing a new house captain is fair as we all had a chance to vote. What Liberty means by Year 3. Liberty means that you get to have your own opinion and say what you want. You can travel wherever you like. Sometimes you can’t do what you want because of the Law. 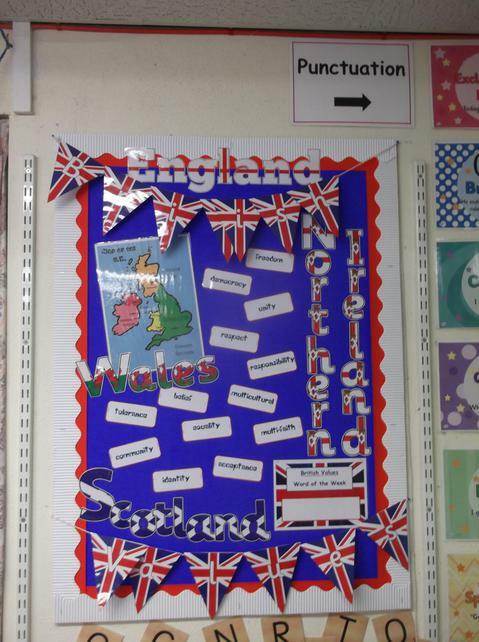 At the beginning of October, the whole school took part in British Values Day. The focus for the day was ‘the Rule of Law’. In Key Stage Two, children gained a strong understanding of the what Laws were and how they are formed in parliament. They acted out the process of making a Law, examining it in parliament and then making some very important decisions about passing it. In Key Stage One, children learned about what rules were and how they can be similar to laws. Some classes even had a visit from the police who taught them all about how they help to protect the law for a job! Lots of work and photos from the day are available below and on the British Values Board in the hall. On British values Day, the Red Classes explored ‘The Rule of Law’ in a range of ways. We began by discussing what rules were and why we had them. The children came up with lots of fantastic ideas for rules they could implement in places like schools and swimming pools. They made lots of signs to put up to help people and vehicles to follow the rules. We then had a visit from the Police, who explained what they did in order to protect the law; we even went in their police van! Finally, we discussed the difference between rules and laws and decided that the law is just like our classroom rules but for the whole country! As part of our celebration of being British, we focused on the importance of rules and laws. We learnt that rules and laws are there to keep us safe and help us know what to do. Our day was packed full of fun activities such as designing our own games and coming up with sets of rules for our classes. "If we didn't have any rules, we wouldn't know what to do." "Rules help to make us good learners." "Rules in school help keep us safe." We started off the day thinking about rules that we use at home and school and why they are important. We then linked these to the laws that we have in Britain. After discussing images of laws that effect us everyday, we created role plays about what would happen if the laws did not exist. We became police officers and filled out incident reports including the suspects, the crime and the consequences. We then created lawful maps and lino block prints of laws that we though were important to our country. Take a look at some of our work on our year group page. Year 2 shared and described their personal identities. We discussed the British values and our own personal values. We created a class flag thinking about the values that were important to us. We then rounded off the day by celebrating in a typical British way. A picnic inside because it was raining! Arguing for and against the banning of chips. Designing posters for our arguments. In year 5 we learnt about rules and laws. We discussed the difference between them and also looked at Civil and Criminal law. There was a lot of discussion about laws and we learnt about laws in different countries and how the laws in the UK have changed over time. The Rule of Law is outlined as one of the values we have as British people. We discussed how some counties such as North Korea have very strict laws and how the people who live there are restricted in their freedom. In the afternoon, we created our own towns where the main aim was to keep our townspeople safe and happy. We had to come up with at least 10 laws for our town which would achieve our aim. In Year One we focused on the British value Democracy. We talked about what democracy means and had a good debate about whether chips should be banned at lunch times in schools. We argued for and against this and then had a vote at the end of the day. The majority of the class voted against the banning of chips at lunch time. In the Upper Foundation Stage, we started off our British Values Day by having a discussion about our our own identity and values. We played a game called thumbs up and thumbs down. During the game our teachers said a word such as helpful, kind, caring, or hurtful and we had decided if we felt this was something we believed in by using our thumbs. We found out that we all had the same values through this game! Then we began to look at the the rule of law and what this meant. We discussed some laws we already knew such as 'You don't go past the speed limit in a car and you don't steal peoples things.' We talked about why these were important for our country and then compared them to some of the rules we had made up for our classroom and school. After this, we spent time doing lots of exciting activities such as matching coins to their values, writing a new set of class rules, writing and drawing about the different laws we knew about and even filling in police incident forms! We had a great day exploring British values in these meaningful ways!